Tom Ford recently debuted his first see now-buy now collection at New York Fashion week in Sept, and guess what? All of the new Tom Ford beauty products that makeup master, Pat McGrath, used for the runway looks also became available for purchase the very next day. 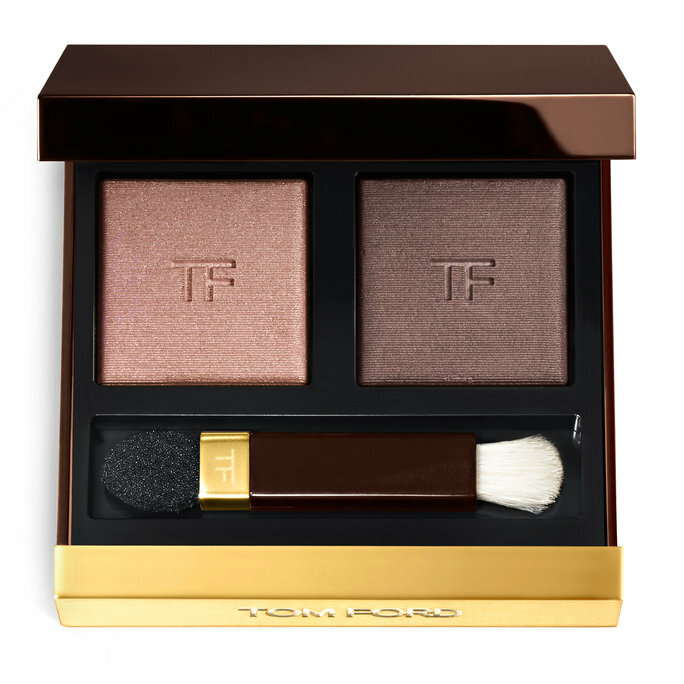 Tom Ford Eye Color Duo, Runway Color Collection was one of them. Pat created an eye look which looked glossy and smoky at the same time, and was a blend of the two shades you see above in the Tom Ford Autumn/Winter 2016 Eye Colour Duo. These colors are beautiful and will work on every one. The lighter shade is a shimmery golden beige and the other a very unique taupe/brown-grey ("greige") shade which is perfect for lining the eye or on the lid. These also work wet, for a more intense shade, which I loved at night. The soft focus effect of the shadows gave me a defined and classic look, which still looked very natural. These two colors will take you from day to night, from work professional to weekend casual with ease. The Tom Ford Eye Color Duo textures are smooth and silky, and they are goof-proof in terms of blending. Sometimes I layered the golden shade first and then applied the taupe, and sometimes I created a smoky eye using a taupe eyeliner and then reinforcing with the taupe shade and along the lid.